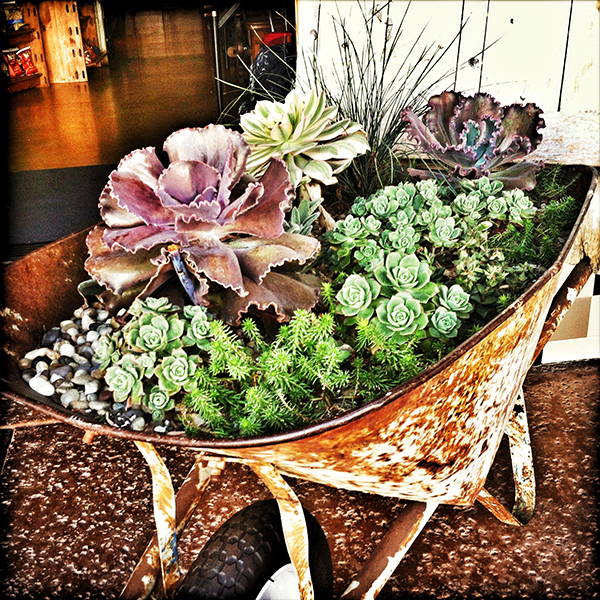 Saw this super sweet “Succulent Wheelbarrow” at Sal’s Paradise this morning. It looked like the work of Fluid Bloom and a quick text message to the owner confirmed that it was. I think it’s awesome that a flower shop can have a recognizable signature style. With Mother’s Day (May 12) right around the corner I highly suggest checking out Fluid Bloom. They’re in downtown SLO on the corner of Chorro and Pismo and can be reached at 805.784.0415. We love Nikki!! She does our salon arrangements and every single one is a work of art! !